Travelling the world and experiencing how people live in others countries is something most of us take for granted. There’s no better feeling than booking a holiday, whether it be relaxing on a beach in sunny Spain or a European city break, but for some of us visiting one place just isn’t enough. 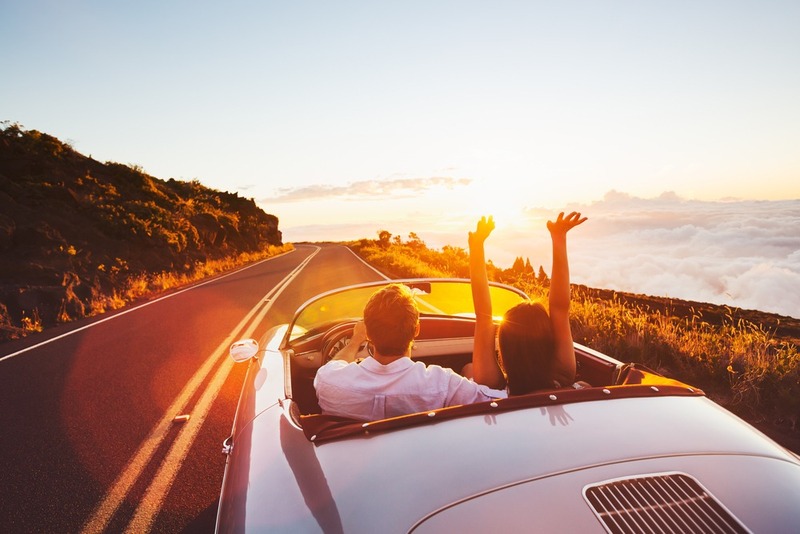 If it’s in your own country or abroad, going on a road trip allows you to fully embrace different cultures and explore places you’ve never been before. Planning a road trip should be an enjoyable experience for you and your travel buddies, but it can also be very stressful if you don’t plan correctly. Some people venturing on a road trip prefer to hit the road and take each day as it comes. If on the other hand you prefer to know exactly where you’re going, this post may be for you. It may seem obvious but plan out all the places you want to visit and how long it takes to get to each one. Doing this means that you won’t miss anywhere on your list and you can plan how long you’re going to stay in each destination. As well as the activities you want to do and sights you want to see, research places to stay overnight. Camping parks, hostels and hotels can easily cater for small budgets if you don’t want to spend a great amount on getting your head down for the night. To avoid finding yourself broken down and stressed at the thought of not making it to your next destination, you need to make sure your vehicle is in tip top condition. Many people like to hire a car when going on a road trip so make sure to choose a spacious, modern car so you can travel with ease. If you’re going to use your own vehicle then make sure it’s ready for the journey ahead. Carrying out all the obvious checks before you set off is important but you also need to make sure the vehicle has a full MOT so any potential issues can be sorted before you set off. To ensure your trip runs as smooth as possible, plan ahead and book in for an MOT. For more information about booking your vehicle into a local garage, websites such as www.kwik-fit.com will give you all the information you need. Part of the road trip experience is sitting in the passenger seat with a map and directing the driver, but it’s probably best to take a satnav as well just to be on the safe side. The last thing you and your travel companions want is to be arguing over which road you should have turned down and a satnav can be more trusting than a passenger who has little experience of reading from a map. Make sure to stock up on food and drink between each stop. You may find yourself stuck in traffic or driving in blistering heat so make sure you stay hydrated and energised. You want to be able to enjoy every place you visit and being dehydrated will only put a dampener on the trip. Hopefully this post has given you some valuable information if you’re planning on a road trip. In order to enjoy the experience to the full, preparation is key!